It is possible that he had an earlier marriage, on 7 April 1729 (he would have been 19 years of age), “Robert Austen & Elizabeth Smith of Isfield – spinster.” There is no information to support (or deny) this marriage is of the same Robert Austen – remembering that this was an age when smallpox was still prevalent and childbirth claims many women. 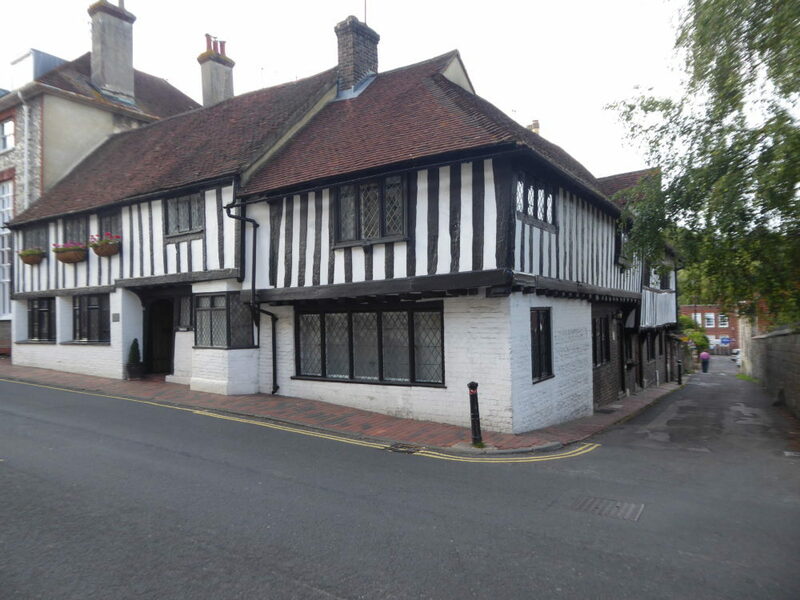 Right and below, 54 Southover High Street, Lewes, where Robert & Mary lived in 1780. He appears in Alumni Cantabrigienses, A biographical list of all known students, Graduates and holders of office at the University of Cambridge, from the earliest times to 1900: Part 1 ‘From the earliest times to 1751’ Volume 1. Adm. sizar, Admitted to Jesus College on 7 March 1731-2 (the 1731-2 being a representation of the then Julian calendar date, where 25 March is the first day of the year). The sizar are “allowed free education in consideration of performing certain, at one time menial, duties.” Sizars were generally the sons of poor parents, frequently the clergy. Jesus, one of the 16 colleges that makes up the University. Matric, at this time Matriculation was swearing allegiance to the University and occurs at the same time or later than admission to a college of the University. Unfortunately, this entry does not state parentage which was customarily recorded at this College. Appears in the online Clergy of the Church of England Database: as Robert Austen 1733-1785 (being the range of dates they have records for). Appointment as Deacon of Berwick Parish, Chichester, Sussex 23 September 1733 and then as Priest 19 September 1736. Appointment as Rector in Berwick Parish 9 April 1751. Among these are a series of mortgage documents for members of Harben family. Listed, along with six others in 1774 the Rev. Robert Austen, clerk., being seven of the Trustees under and Act of Parliament of 25 Geo.II for repairing the roads from the north end of Malling Street nr. 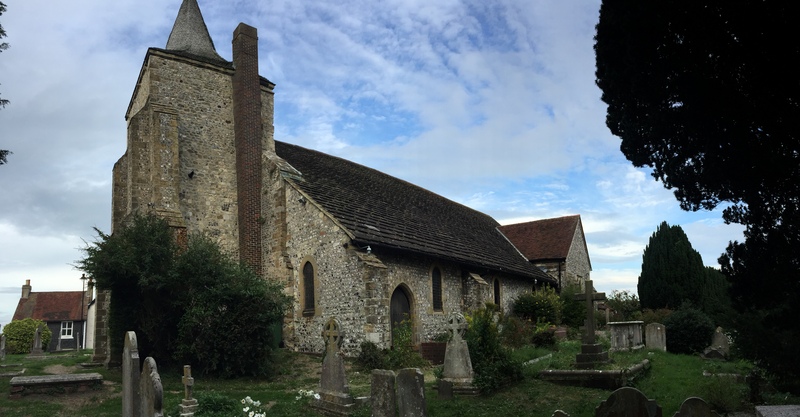 Lewes to Witch Cross and from the north end of Malling Street to the Broil Park Gate and from Offham to Witchcross. It is mentioned in “Notes on the families of Chamberlain and Harben” that his wife may have the surname ‘Morley’. It is my assumption that the surname of founder of the Lewes Free Grammar school, Mrs Agnus Morley, was transposed at some point in earlier family research. 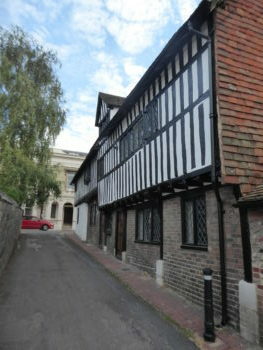 There is no connection, however, as Mrs Agnus Morley founded the school in 1512. On 26 March 1771 he married Thomas Paine and Elizabeth Olive at St. Michael’s Church in Lewes. Thomas Paine’s later writing would have some impact on the American Revolution and he was first to coin the phrase the ‘United States of America’. More information on Thomas Paine can be found here. In January 1780 he holds the mortgage on 54 Southover High Street and I assume he lived there. This house is still standing and frequently appears in photo’s of its much more famous neighbor, 52 Southover High Street, known as “Anne of Cleaves House”. The tomb of Robert and Mary Austen appears in the photograph to the right. Below are photographs from a September 2018 visit to the church. Below, Map for St Anne’s. 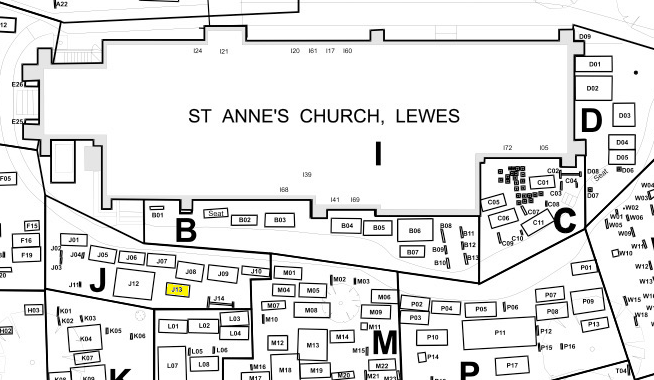 Robert & Mary Austen’s tomb is J13 and highlighted in yellow. the Body of her Husband the Rev. in the Seventy Seventh Year of his Age. Born most likely in Burwash, Sussex, England. Important note: While it is highly likely that Edward Austen is the father of Robert Austen the link is not directly confirmed. There is a christening record of a Robert Austen on 7 March 1909 in Burwash, with parents of Edward Austen and Anne (no surname). Edward Austen appears to have been financially independent, purchasing a house and a tallowhouse (called Guestling) in 1707. This was not his place of residence. These deeds list Edward as a Mercer, and as ‘Edward Austen the younger’ of Burwash. He and his wife (Ann) mortgage the property in 1726. The property is sold by his creditors on 5 May 1732. Susannah Austen (1716-1790) married Thomas Mantell in Lewes about 1746. 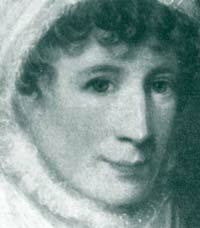 Sarah Austen (25 Nov 1755 to 23 Dec 1828) and born in Peckham Kent, married Thomas Mantell, a shoemaker in Lewes – he’s the son of the above Thomas Mantell. 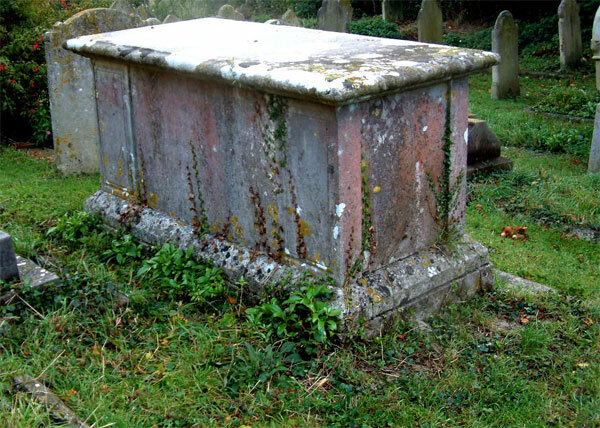 Sarah Austen, christened 18 Sept 1757, East Grinstead, Sussex, daughter of John and Sarah Austen. A useful link is Peter Cox’s list of Sussex references for Austen. I’m guessing that Edward Austen’s father was also Edward Austen (senior, of Burwash). John Austen (son of Thomas Austen, yeoman of Burwash) is apprenticed to John Strickland of Burwash, butcher / felmonger 25 December 1713. Edward Austen, Burwash & Gent, marries Sarah Nepecker of Burwash, 29 April 1723. Notes, these are listings of licences and does not mean the marriage actully occured (although they generally did). As part of the banns process member’s of the conguration were required to provide sureties that the couple would get married and I gather pay some money (not sure if its to the couple or the Church). Edward Austen, Burwash, November 1686, provides sureties for Anthony Cruttenden and Mary Cryer. Thomas Austen, of Burwash and Frances Moor Maiden of Burwash, Ausgust 1687. Sureties provided by Edward Austen, yeoman of Burwash. Benjamin Austen, bachelor of Burwash and Catherine Store, maiden of Burwash, April 1699. Sureties provided by Edward Austen of Burwash. Edward Austen, appears many times as the “rent payable at the house of Edward Austen in Burwash” and I assume that he acted as an agent to collect rents. Deeds of a leasehold almshouse PAR430/37/1 1705-1834. The papers in this section relate to a case brought by the parish and probably heard at the Sussex Assizes by nisi prius in about 1707. The action was brought against William Blackman, who had claimed ownership of a leasehold cottage of which the parish had been in possession since the 1650s. 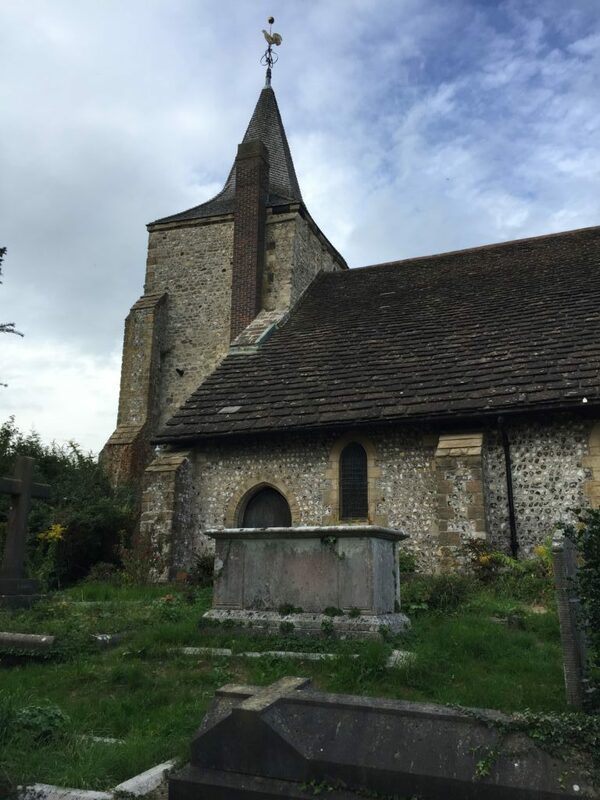 The parish responded by obtaining a lease from Sir Thomas Pelham (PAR430/37/1/1) and gathering evidence from the overseers’ account books, from former parish officers and from Edward Austen of Burwash, the steward of the Pelham estates. The building in dispute in 1707 was probably that referred to as ‘near the marlpits’, in the north of the parish, in the insurance policy of 1834 (PAR430/37/1/7). annuity of £10 charged on a messuage called Goodsoale with barns, stables, stalls, lodges and buildings, three pieces of freehold land called The Ten Acres, The Lower Delf Field and The Upper Delfe (30a), pieces of woodland, rough ground and pasture called Nether Goodsoale Wood and Nether Goodsoale Field (26a, formerly part of Goodsoale Farm) and a messuage called Gutsell with parcels called the site of the house with the yard and land-way, the orchard, Lower Furlong, the spring below the Lower Furlong, Upper Furlong and the shaw, The Green Croft Spring, The Green Croft, Black Leaze, The Great Field, The Skinges, The High Field, The Hasters Coppice, The Purrfield, The High Wood, The Nether Field, The Pet Croft, The Old Marling, The Old Meeting Spring, The Balfield Spring, The Seven Acres and the shaw (125a), all in Burwash, occupied in 1717 by William Dann recites: settlement of above property on the marriage of Joseph Weller and Constance Wall of Burwash, spinster (Thomas Barton of Heathfield, gent, and Edward Austen the younger of Burwash, mercer, trustees), 16 Jul 1717, which settlement contained a clause, revocable by CW, that JW’s heirs, after the deaths of JW and CW, should appoint as a school master or mistress to teach the children of the inhabitants ‘a person who should be a protestant and well affected to his majesty king George… and the then happy constitution of this kingdom, and of a sober and virtuous life’ at a salary of £10; purchase of the property, discharged from the rentcharge of £10, by William Constable of Burwash, gent W: Hannah Weller, James Noakes, William Shadwell. Note of the free and copyhold tenements held of Burwash and Burghurst manors AMS5744/164 1715. With quitrents, receipts by Edward Austen for compositions for heriots seised for the manors of Burwash, Burghurst and Woodknowle, 28 Sept 1715 and by George Fothergill for [Robertsbridge] manor, 30 Sept 1715. Copy surrender AMS6031/4/1 29 Jun 1748. By Clement Austen (the youngest son of Thomas and Frances Austen), John Vandyke and his wife Ann, and Elizabeth Austen (the daughter and and only child of Clement Austen and his first wife Ann Coney), the admission of John Carter of Burwash, innholder and his surrender to the use of his will of two customary tenements late Fosters, a customary tenement called Great Knowles and a customary tenement called Ryegreen all in Burwash held of the Manor of Brightling Prebend.